The Public Health Authority of Reykjavík is highly critical of the recently published preliminary Environmental Impact Assessment (EIA) for a 45 MW construction of geothermal power plants at Gráuhnjúkar on Hellisheiði. 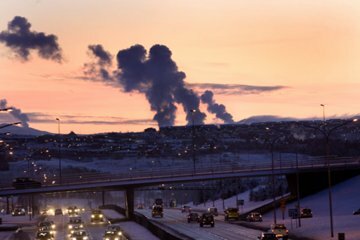 The reason is that the EIA, carried out by engineering firm Mannvit, hardly mentions the possible effects of the project’s sulphur pollution on the human population living in the capital area of Reykjavík. “They mention the impacts of increased amount of hydrogen sulphide at the power plant area, but hardly mention the capital area where a high proportion of the population lives” said Árný Sigurðardóttir from the Public Health Authority in an interview with newspaper Fréttablaðið. The power plant in Hellisheiði is only about 30 km away from Reykjavík. 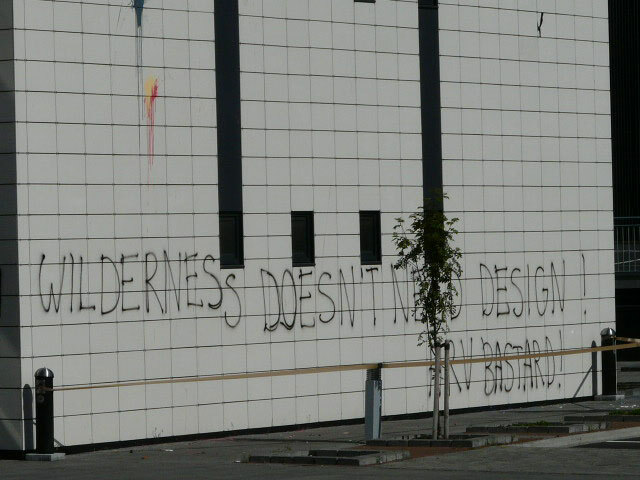 Wilderness Doesn’t Need Design – HRV’s Office Needs a New Style! 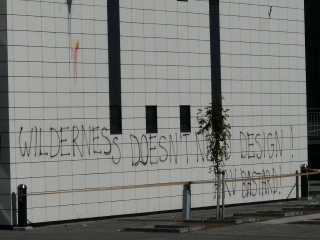 In the night of July 30th, HRV’s headquarters were attacked because of its part in the destruction of the Icelandic wilderness. By Jaap Krater, Miriam Rose and Mark Anslow, The Ecologist, October 2007. The gates of a geothermal power station are not where you would expect to find environmental activists. But the morning of 26th July 2007 saw the access road to Hellisheidi power station in Hengill, South-West Iceland, blockaded by a group of protestors from the campaign group ‘Saving Iceland’. After a brief demonstration, nine activists were arrested and several now face legal action. Geothermal power in Iceland is big business. Just five plants generate 3 TWh a year – more than the annual output from all the UK’s wind turbines combined (Orkustofnun 2005; BERR 2006). Geothermal power also provides at least 85 per cent of Iceland’s homes with heat and hot water. This abundance of cheap, largely CO2-free energy has attracted energy-hungry industries to the country like sharks to a carcass. Of these, by far the most energy intensive is the aluminium industry (Krater 2007; Saving Iceland 2007).